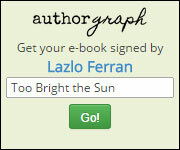 There is a permanent page for Memories of the 1960s here. In many ways this is the hardest post I have made about the 1960s and it has taken me a long time to decide to make it. Many writers have tried and failed to capture the magic and disillusionment of 60s music and I most surely must fail too. But that won’t stop me ‘taking a shot’ at it, as Americans like to say, or ‘having a ago’ as Brits like to say. I am not just talking about something in remote history when I talk about music from that era; I actually remember music of the 1960s. The first song I remember is Puppet on a String, which of course won the 1967 Eurovision Song Contest (yes, we had it then too!) for Sandie Shaw. I would have been 5 but I well remember the catchy tune blasting out of BBC Radio 1 on our little, blue radio set in the kitchen, or in my bedroom when I was sick, which was often. I also remember Windmill in Old Amsterdam (There was a mouse! Where? There on the Stair!) by Ronnie Hilton. This was a hit in 1965 so I may not actually remember hearing the original recording on the radio but my mum sang it to me a lot. I think she was trying to teach me to sing. The first Beatles song I remember is Yellow Submarine; a hit in 1969. Somebody played it at my school during a break and almost all the children danced spontaneously to it in the playground. The strange thing is that we thought this song must have been ancient; around since the beginning of time. We put it in the same bracket as hymns, nursery rhymes and folk songs, something that people had sung since the dawn of time. I laugh now to think this but we also put Cat Stevens’ Morning has Broken in the same category, classing it as a hymn, would you believe? I was often ill in my childhood so stuck at home and my mum would always put the radio by my bed at these times to keep me company. I listen to a lot of contemporary music, usually on Radio 1. Now you might think that listening to the radio would bring me a cornucopia of psychedelic songs from The Beatles, The Rolling Stones, The Who, The Mamas and the Papas and so on. But you would be wrong. First of all, Radio 1 was pretty conservative in what they broadcast and the mornings were usually divided up between Jimmy Young and Jimmy Saville. They played The Beatles, but stuck to the more traditional songs like Yesterday, Yellow Submarine, Help! and a few other of the older hits like From me To You. I don’t remember hearing any Rolling Stone except perhaps Satisfaction later in the 60s. And I didn’t have access to Radio Caroline, the pirate radio station broadcast from a former light ship, moored in the English Channel and manned by such luminary figures as Emperor Rosko, Kenny Everett and Tony Blackburn. In fact, I don’t think I could even get Radio Luxembourg in the Chiltern Hills, where we lived. Even some TV programmes would phase out in poor weather conditions. Twiddle as I might with the tuning knob on the radio, I remained stuck with Radio 1, 2 and 4, a few French stations and possibly the occasional bit of static from Germany and Russia. But what I did get was a wealth of what I would call medium level Brit bands like The Small Faces, Steampacket (featuring a very young Rod Stewart), Dave Dee, Dozy, Beaky, Mick & Tich (Bend It was played a lot on Radio One), Mary Hopkin. I was also subjected to a welter of novelty records by people like Max Bygraves, Benny Hill, Peter Cook and Dudley Moore and Peter Sellers, but the less said about them the better! Incidentally, the eagle-eyed among you will have spotted the name of the main character in my book, The Ice Boat, among the list of acts above. These bands were unashamedly British and flaunted it, often regressing into a kind of Cockney utopian vision as their careers progressed. This may have been in imitation of The Beatles’ Sergeant Pepper, which was a paean to Englishness if ever there was one. But while Sergeant Pepper sounded almost triumphant, combining as it did Englishness with a hunger for a global culture, other bands would find this road harder and end up becoming more inward looking. 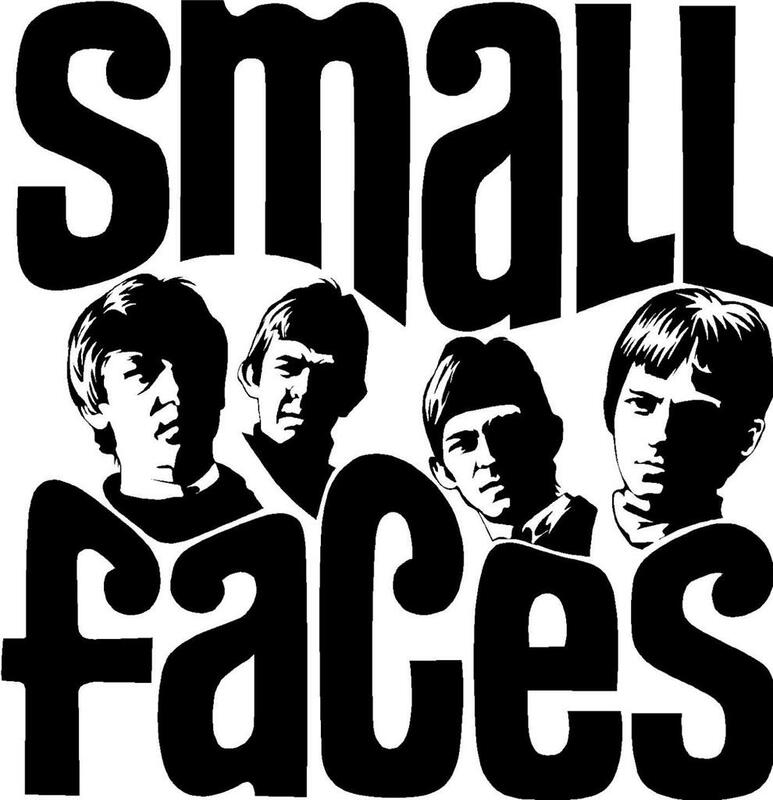 A good example is The Small Faces, hence my choice of image for the head of this post. Itchycoo Park was catchy and the writers even now claim they attempted some kind of commentary on the extreme trajectory of hippy culture with it. This drug-fueled culture pervaded everything in England at the time; even my father, who was a conservative voter, wore flared trousers. So you would have thought this song would be refreshing. It was certainly catchy and I remember it being only second to I’d like to Teach the World To Sing for the frequency with which it was played. But the problem was that the producers of the record had gone for a ‘light’ feel. It sounded so upbeat that you couldn’t possibly see it as anything other than a catchy ditty. The Small Faces‘ Lazy Sunday was even worse, featuring the feigned Cockney accent which Steve Marriot began to use so heavily. I’m sorry to say that many lead singers in the 1960s used the Cockney accent to show how British they were. It probably wasn’t their fault; few bands would have had as much control over their music as the Beatles and most would have been forced to go for the common denominator, which turned out to be light, breezy songs which neither threatened or challenged anyone. Later the Cockney accent would be used by Bowie to better effect but that’s another story. 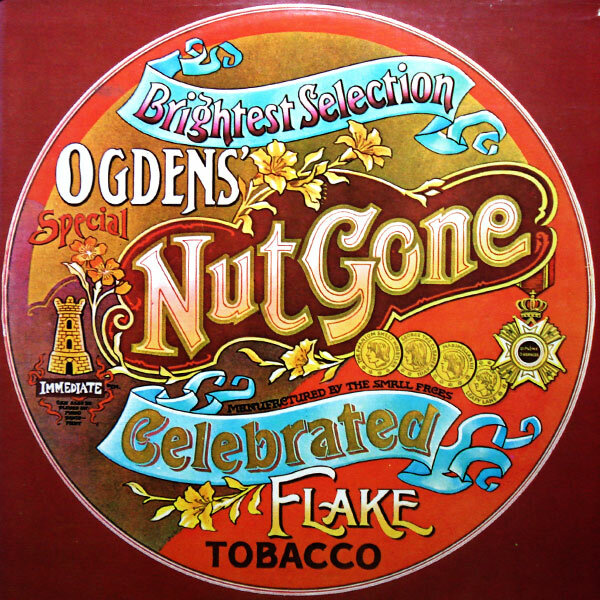 The Small Faces album really entered the realm of mystical Englishness with their album Ogdens’ Nut Gone Flake. Take a look at the cover opposite! It’s almost as if they are trying to contact, through the medium of music, some spirit of bygone Englishness. And you find a lot of bands doing this. Whether they were pining for better days – going through some valedictory last hoorah! – I don’t know but things certainly seemed to implode. There was no widespread embracing of different cultures from abroad, no quest for the global village. This came only from The Beatles and a a few other very select bands. Instead, on Radio 1, which I guess most people were forced to listen to, just like me, we had a headlong dive back to essential, conservative Englishness which led us into the more insular and sombre 70s. So what did we have at the peak of the 60s explosion of music? Well forget Hendrix! I didn’t even know about his existence until I was in my late teens, and my dad listened to Santana, Osibisa and Gong in the late 60s, so he was no slouch in musical taste! No, even he hadn’t heard of Jimi Hendrix. Instead we had a paper-thin serving of art in our music. It was almost like a papier mâché utopia, a cardboard Heaven that could be cut through by the pre-pubescent mind of any 5-year old. Indeed, as a 5 year old in 1967, I often felt the music was too childish for me! I tended to seek out classical music quite often as a respite – yes I even turned the dial surreptitiously to Radio 4. In short, what most of us were subjected to, day in, day out, in the music on Radio 1 was a kind of artistic, cardboard world. I wouldn’t call it a mediocre world, for that word would be too harsh. But it certainly was one that could be knocked down or seen through by any over-curious child, or could be dissembled just as easily and reassembled somewhere else on Earth where it might be wanted. But it never was. What are your memories of the 1960s? Leave a comment below.